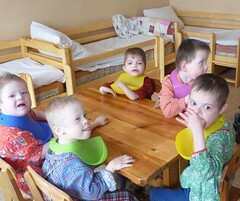 A video of Barbara Flynn’s trip to Russia to visit the children in need of help from ThePromise can be found on our video page. ThePromise employs two part-time members of staff in the UK. 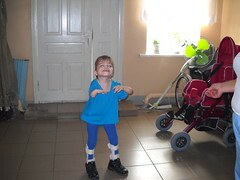 We rely heavily on voluntary support both in the UK and Russia. ThePromise have a freelance professional bookkeeper, payroll manager and volunteer accountant. 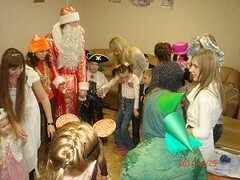 In 2010 Obeshenye, our Russian sister charity was formed. Obeshenye has one part-time member of staff who works very closely with us and the Portage Teams throughout Russia. We are enormously grateful to our small but very important pool of professionals who willingly offer their advice, expertise and time when necessary. Many of whom have travelled to Russia to support the children and Portage teams first hand. 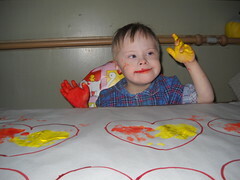 “I first came across this method of working with children with special needs in 1976. I count myself fortunate enough to have been invited to participate in a very successful pilot project examining the Portage model in action, set up by the Wessex Health Care Evaluation Research Team. As a result of our confidence in the results achieved by the project, we worked together as a team, over a number of years, to disseminate the approach across the UK where it is now a recognised part of established practice, benefiting many thousands of children with special needs each year. More recently I have worked on projects to establish the service in other countries, and I am excited to be involved in its introduction to the Ryazan Baby Home. 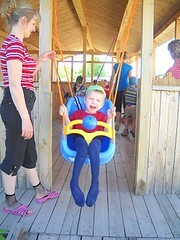 I truly believe that it will make a huge difference to the lives of these Russian children”. 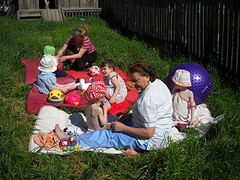 Tanya van Dalen, Occupational Therapist BAOT MCOT Tanya has travelled to Russia a number of times to share her experience and expert knowledge in working with children with developmental delay, Autism and Sensory needs. Her practical skills and ability to share these through training and joint working has been invaluable to the Portage Workers, especially those working with children and young people in the Yelatma orphanage.